So apparently, guava paste and cheese is a classic Latin American culinary combo. The sweet and tangy with the salty and creamy, I could just imagine the possibilities. Out of all the recipes I searched, I came across this one that just seemed too easy: I had half a box of puff pastry sitting in my freezer, along with a tub of Galaxy vegan cream cheese that was thisclose to its expiration date in the back of the fridge. This recipe was meant to be veganized! Although the pastry itself looks complicated, it's really quite easy to make, and surprisingly fast. The recipe below makes a bit too much filling, so if you use it all for the pastry, it's going to be oozing out with every bite...which isn't necessarily a bad thing. 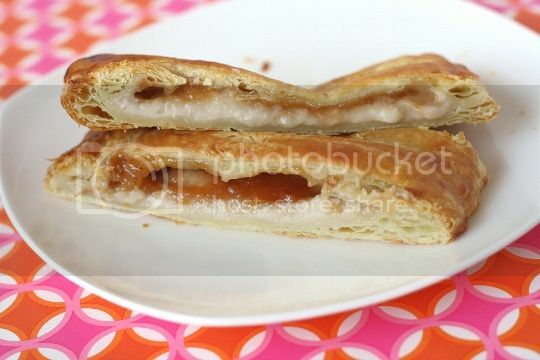 The sweet-tart guava mixed with the salty cream cheese is delicious, and adding in the buttery crispy puff pastry makes this an amazing dessert. Okay, well I ate this for breakfast...but whatever works. Either way, it's sure to satisfy your taste buds. Preheat oven to 425F. Add cream cheese, sugar, and vanilla to a food processor; puree until smooth. Transfer to a small bowl. Clean the food processor, and add guava paste and lemon juice; puree until smooth. 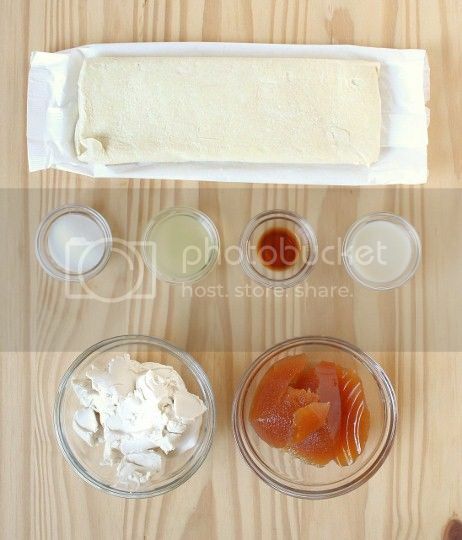 Roll out pastry on a floured work surface with a floured rolling pin into an 9 1/2x11-inch rectangle. Cut rectangle in half crosswise. 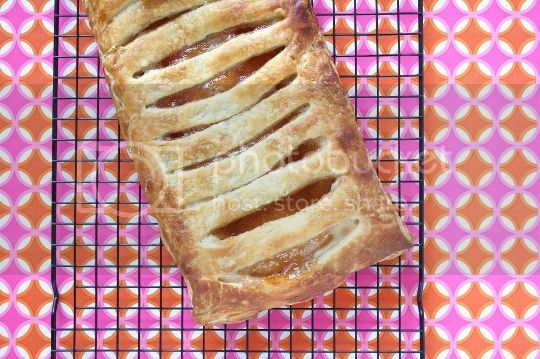 Transfer one pastry half to a parchment paper-lined baking sheet; spread cream cheese mixture down middle of this pastry half, leaving 1-inch borders on all sides. Spread guava mixture lengthwise on top of cheese mixture. Lightly spread some cream cheese mixture around filling on pastry edges. 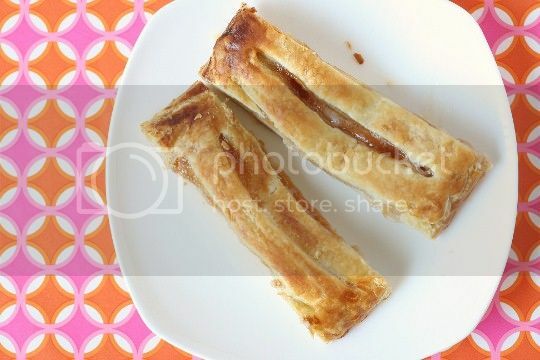 Fold remaining piece of pastry in half lengthwise. Leaving a 1-inch border on sides and top of pastry, cut 1 1/2-inch-long slits every 1/2 inch through folded edge to top border. Unfold cut pastry and carefully lay over filling. Lightly press edges to seal and brush top of dough with milk. Bake until puffed and golden brown, 25-30 minutes. Transfer pastry on top of paper to a rack to cool completely. Serves 8. Nutritional data (per 1/8th slice): Calories 245, Fat 14g, Saturated Fat 7g, Sodium 199mg, Carbs 28g, Fiber 1g, Protein 3g. Wow. I think I would love this. Guava is so under-appreciated.